EVERYONE loves a good curry and now you can help a major Service charity by tucking into your favourite spicy dish. 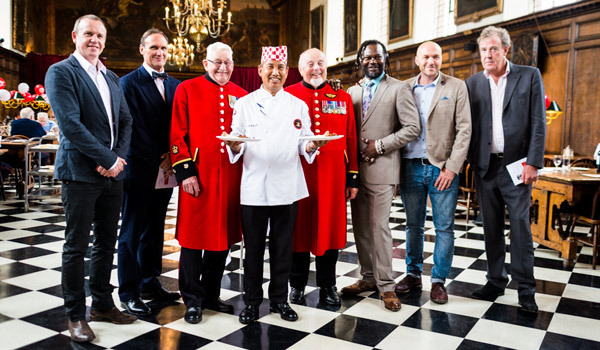 Launched by celebrities including Jeremy Clarkson and AA Gill as well as Pensioners from the Royal Hospital Chelsea, ABF The Soldiers’ Charity‘s Big Curry month invites people to cook up a curry and raise vital funds for military men and women in need. Taking part in the annual event, which runs throughout October, can be as simple as cooking a Korma for the family or as grand as hosting a gala curry festival – the choice is yours. Whatever the scale, ABF The Soldiers’ Charity can help by sending a fundraising pack and providing a tasty set of celebrity-endorsed recipe ideas. To get involved, visit the Big Curry website today!